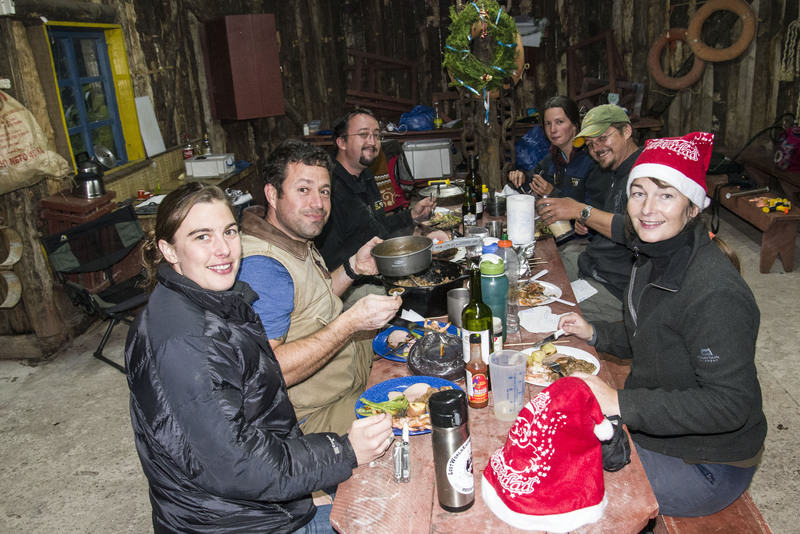 We had arranged with our friends from www.liferemotely.com to meet up in a campsite in Ancud so that we could spend Christmas together. 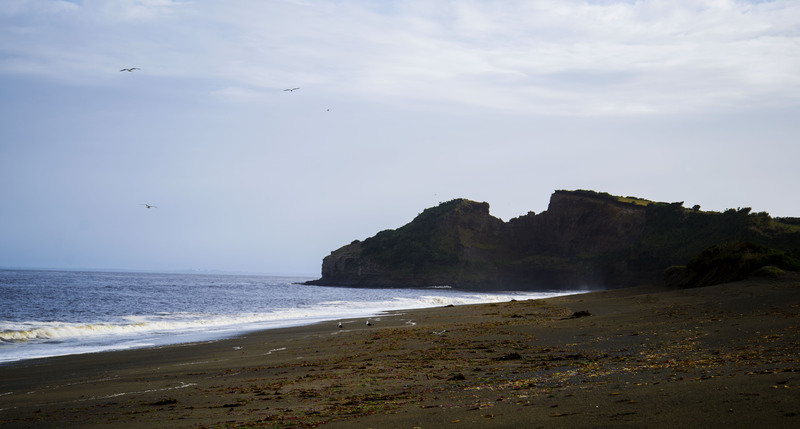 We arrived in Chiloe a day before them so we scoped out the campsites in around Ancud and decided on Playa Gaviotas which was actually a few Km’s outside town. 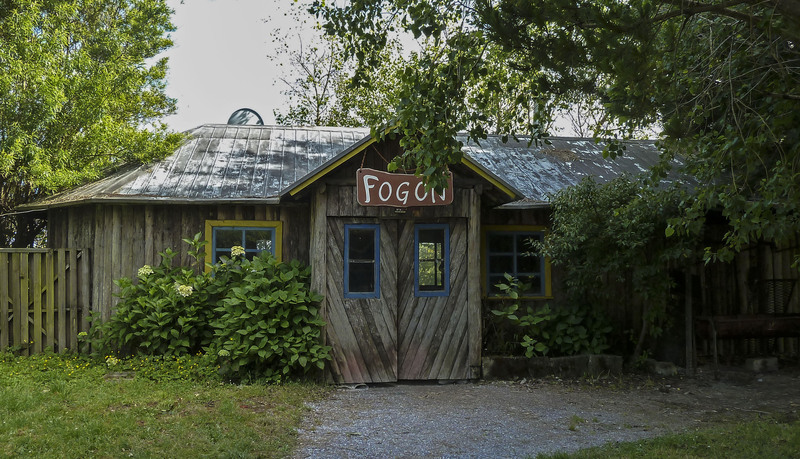 Its major selling points were wind protection in the campsites and a big shed called a Fogon with a huge iron fireplace, a grill and tables and chairs. These were major considerations given the wind and rain that was forecast. A nice beach was also a plus but not so relevant given the weather. When Kobus, Jessica and Jared arrived they told us that we could expect Luis and Lacey from Lostworldexpedition.com to join us so Christmas was going to be a proper party. As we’ve come to expect when we get together with the Remotelys Christmas was a real feast. It started on Christmas Eve with a massive salmon roasted on the grill. The rain was coming down incessantly and it was really cold so we moved festivities into the Fogon and lit a huge fire to warm the room. The real feast was to come on Christmas day. 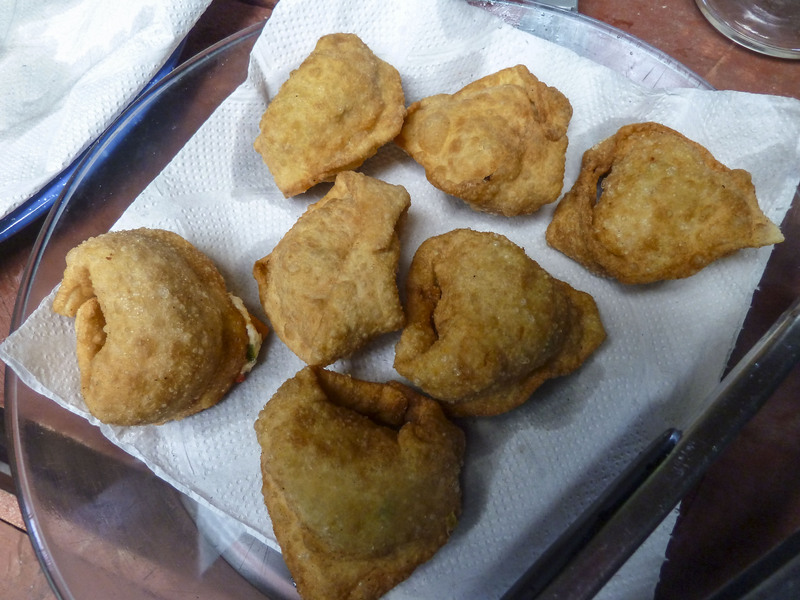 The previous day Jared had used our small walmart BBQ to smoke some Salmon and this was to be the centrepiece of some amazing wontons for lunch. Luis cooked up some South American pancakes called Arrepas and I made some pigs in blankets. After lunch I did some needed maintenance on the truck – namely fixing a light at the back which had a loose connection (with some great help from Kobus). This worked up an appetite for dinner which was a joint of beef that Jared expertly roasted on the BBQ and made some incredible stuffing. This capped of a lovely Christmas day with some great people. So a big thank to Kobus, Jared, Jessica, Lacey and Luis for helping to make a great Christmas on the road. 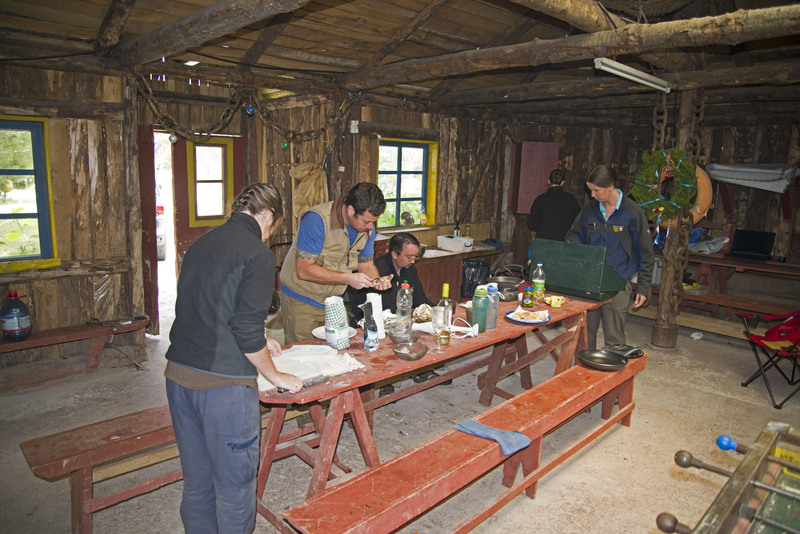 Mark – you made pigs in blankets, sterling effort and contribution – crikey! Enough of the sarcasm mate. I think you don’t quite realise how difficult it is to buy things down here – we’d kill for some British bacon.